Rev. Matthew Wood visited Pacific Hills Lutheran Church on Sunday, November 18, 2018. Rev. Wood lead a presentation on his work in Indonesia that is planned for February 2019, and preached during the 10:30 am service. Rev. Wood and his family has traveled over 9,000 miles over the past 15 weeks to raise support for his work in Indonesia. 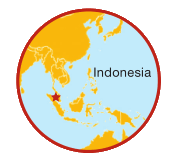 He will work closely with the Indonesian Christian Lutheran Church (GKLI) and help train pastors and lay leaders by providing resources through educational workshops, translation projects and other efforts. Matthew is originally from Minnesota. 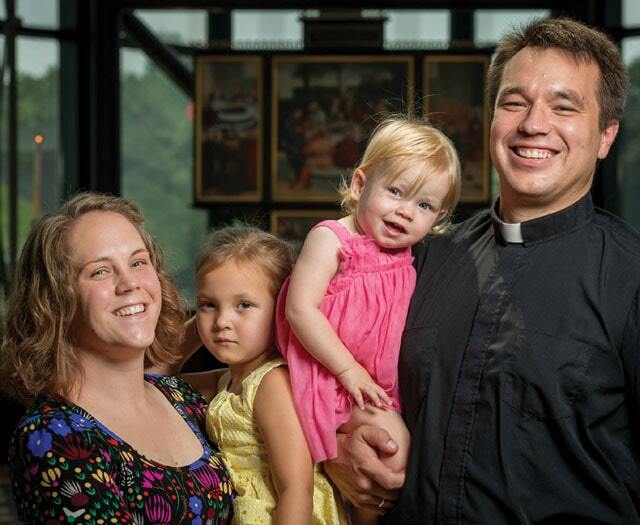 He graduated with a bachelor’s degree in theology from Concordia University, St. Paul, in 2006. He received his Master of Divinity in 2011 and a Master’s in Sacred Theology (S.T.M.) in 2015 from Concordia Seminary, St. Louis. Following seminary, he served as pastor of Concordia Lutheran Church in Maplewood, Missouri. Matthew will be joined by his wife Kali, and children, Laurel and Eleanor. Pacific Hills welcomed Rev. Wood's visit on Sunday, and we pray for his work. Please pray for Matthew and Kali as they serve in Indonesia and transition to the new language and culture. Pray that their language training goes smoothly and is completed as quickly as possible. Pray for the Wood family as they develop a support system within Indonesia. Let us give thanks that the Wood family is serving in this part of the world. You can partner with the LCMS by making an online gift restricted in use to the support of the WOOD family. Please go to www.lcms.org/wood and click the Give Now button. Download a Prayer Card for Rev. Matthew Wood and his family. The Wood Family website is just getting started at www.seaside.asia. More information will be available in the coming days. Sign up for their newsletter or read past newsletters. 11/18/2018 Sermon - Rev. Matthew Wood delivers the sermon for the 26th Sunday after Pentecost, "Keeping Jesus Front and Center"